Research on microbes over the last half-century led to fascinating discoveries in both biotechnology and basic science. An entirely new kingdom of life, named archaea, was discovered. More recently, the discovery of nucleocytoplasmic large DNA viruses is changing our understanding of the viruses. CRISPR and quorum sensing demonstrated that microbial organisms were far more complex than previously thought. Revolutionary biotechnology tools like PCR and CRISPR-cas9 also came from the microbial world. There is still a vast untapped microbial world around us, and our discoveries have merely scratched its surface so far. Due to their small sizes, microbial organisms are often indistiguishable under the microscope. Recent advances in large-scale DNA sequencing is providing us the opportunity to probe this world at a depth and scale never possible before. Computer algorithms play a major role in analyzing and interpreting the sequencing data. 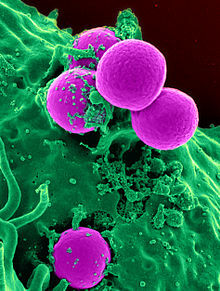 Challeneges posed by drug-resistant bacteria and new methods of finding antibiotics. This entirely computational module pairs with Microbial Mysteries (in Lab), which teaches you the skills for the biotechmology lab. Each module is independent, but taking both will help you get a comprehensive picture. People's knowledge of the microbial world mostly center around the harmful bacteria or "germs". In reality, those germs cover only a small fraction of the entire world of microbes, whereas most microbes are neutral or even beneficial. 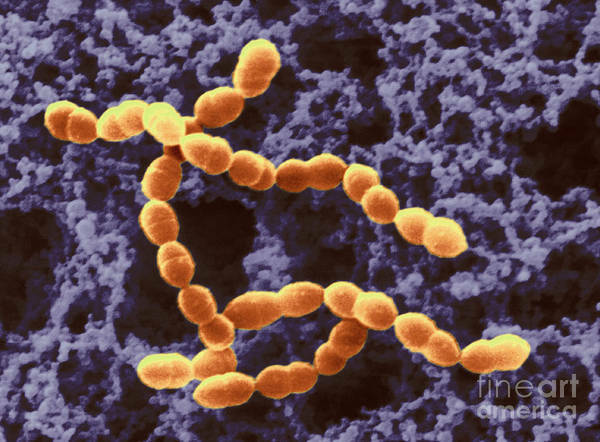 We will learn about one such beneficial bacteria (Streptococcus thermophilus) used in yogurt and cheese culture. This bacteria also played a major role in the discovery of CRISPR. Details: You will first learn to identify bacteria from given sequences using the program BLAST. Then you will download the genome of Streptococcus thermophilus from NCBI, load it using Python (Biopython) or R (Bioconductor) code and extract interesting subsequences like CRISPR. Although it was previously believed that life could not survive in extremely hot environment, hot springs of yellowstone were found to be teeming with life. Research on microbial organisms from hot springs led to the discoveries of archaea and PCR technology. In this session, you will learn about evolutionary classification of microbial organisms based on 16S sequencing. Such research led to the discovery of archaea, and is also used for bacterial classification. Details: You will learn the evolutionary concepts behind identification of various bacterial and archaeal organisms using their 16S ribosomal sequences. You will use the alignment program MUSCLE and phylogeny program FastTree in your hands-on analysis. Our body is full of microbes, and, in fact, we are made of more microbial cells than human cells. Metagenomics is the new field in exploring their presence using high-throughput sequencing. You will learn about two ways to find them - 16S sequencing and whole-genome sequencing. You will also learn about various high-throughput sequencing technologies. Plastic bottles piling up in the water-ways and the oceans have become major pollutants causing death of fish and other species. In their attempts to solve this problem, scientists have come across a plastic-digesting bacteria that can help in the clean up. You will look into the recently-sequenced genome of this plastic-eating bacteria. In a separate exercise, you will analyze the CRISPR block in bacterial genomes and analyze their palindromic patterns. The discovery of antibiotics in the earlier half of the 20th century led to major improvements in life expectancy around the globe. However, there is a crisis around the corner. Due to an overuse of antibiotics, new antibiotic-resistant bacterial strains are emerging through evolution. Some of these "superbugs" are resistant to all known antibiotics. In their efforts to find new antibiotics, scientists are exploring newly discovered microbial organisms and their interactions. This session will cover various aspects of research on antibiotic-resistance. Details: Antibiotic-resistant bacterial strains do not look different from regular bacteria. Therefore, genome sequecing is the only way to identify them. You will learn about software tools to compare bacterial genomes. You will also learn about gene clusters in microbial genomes and their biochemical roles. Such gene clusters are being analyzed to find new reaction method and pathways.